THE BRIEF INTRODUCTION TO THE NATURE’S MECHANISM OF PERCEPTIONS empowered by the ever-changing world. There is no thought or feelings or memories can be possible without our ability to COMPARE. The nature of our mind is greatly interactive. The Nature’s Mechanism of Perceptions manifests our instinctive, inborn abilities, allowing us to sense within our ever-changing realities. The internal conditions which we must deal with, experiencing them beyond our selective and very superficial “consciousness”, are Change, Limitations and Protective Boundaries. The internal life of mind and its body, is driven by the most vital process of life that is revealing how our sensations and thoughts, imagination and memories, are produced in every instant of our existence. Our mind instinctively interacts with its environment but in order to perceive, see, hear, smell or touch, it has to constantly Compare its instinctive sensations, Select some of them, Compose the selected sensations into something internally perceivable, Focus on what seems to be important while keeping the rest of sensations on a background, and then Form or Compose the selected sensations into an image, sounds, thoughts.. Our minds Frame those ephemeral compositions of what we call “reality” to separate from our “conscious” theater of mind often very “blurry” and disturbing interactions with ever-changing environments. For instance, we can form a thought only when we Limit what we experience into mental scenarious of theatrical “consciousness”. In a minute or two this might convince us that our instinctive, deeply inborn abilities of perceiving are fundamentally, naturally artistic, however, not exactly for the purpose of creating fine arts, but for the sake of life and its continuity. Explanations for our Abilities and Limitations in sensing and perceiving, allowing us to evaluate our actual experience. Perceptions are impossible without Flux and Limitations. No life, or anything that we describe as animate or inanimate, is ever possible without LIMITATIONS. That is why according to the powerful law of nature (we ignore) everything and everyone is designed by nature to know its own unique place, and what we see as mind and its body..
Our conventional education does not mention the most fundamental condition of life in spite of since our very early childhood we instinctively sense our Limitations within and without ourselves. Whether we notice or not our very minds and bodies travel from one instant to a new instant along with our realities. These metamorphoses are happenning without getting us to be destroyed by the unthinkable powers of the world Flux. We are about to find explanations to why we can miraculously go through endless transformations without falling apart. “No man ever steps in the same river twice, for it’s not the same river and he’s not the same man” as Heraclitus described the entire existence of world, driven by its endless powers of Flux. Therefore, the world has no time for our imaginative time, and no space for our imaginative space, because the world is instantly new and entirely different. Why do we “need” Limitations? We have to recognize many vital functions of Limitations, besides creating depressing obstacles. Limitations are not just unpredictable and limit “things” and events, distract our projects and activities, as we commonly think. This would be too very silly for a magnificent composition of Nature to just limit whatever it can. I suggest to contemplate Limitations as our Protective Boundaries. Having no Limitations as Protective Boundaries we will melt down into unthinkable powers of the world just like Lumps of Sugar in a very Hot Cup of Tea. We would sense nothing. Our specific human Limitations save our existence as individual unique creatures and characters as they continuously work as ephemeral sculptor’s chisels carving out and shaping up our minds and bodies. There is no “smooth” continuity, as some of us may already know. Flux creates the new world in less than an instant where is nothing can be truly balanced, repeatable, identical, equal, copied, travel back and forth unchanged, become complete, exact, or perceived as it is. The perfect balance even the most insignificant, would destroy the continuity of nature of Flux. No unmoved, unchanged events, “things”, scenarious and apperances, no perfect unchanged photos and records are possible in our reality, memories or observations, as we have to perceive them trhough our unstobably fluctuating sensory perceptions. Neither photos nor records of any sorts, or our perceptions themselves can be fixed, as the world of Flux more or less but entirely changes through interactions. Heisenberg’s Uncertainty Principle is the pioneering teaching that we eventually have to recognize as the first step towards the development of the authentic foundation of knowledge based upon thoughts and observations of Heraclitus and Protogoras. Werner Heisenberg, a German physicist, is revealing that our observations have an effect on the behavior of quanta. Moreover, as a deeply profound philosopher he means that no events we may observe can be completely separated from us producing effects that are still beyond our comprehension. Observing means Interacting. How do we recognize exactness or sameness in what we experience, recognize our memories and thoughts, belive that we can deal with identical units in math, or manufacture identical copies of goods.. while nothing can be really repeated, remain the same, even for an instant? I invite you to enter the new field that opens for us posibilities for studying human perceptions. We soon will be able to discover how Crudness of our perceptions appears to be a blessing in a process of producing our conscious theater of mind, thoughts and memories. In my modest opinion – speaking about our constant hunger for entertainment – this is the field that can easily replace all entertainments we know so far, put together. Our tasks are about finding fundamental explainations on how in these crucial nature’s conditions, with which we interact beyond our comprehension and visible suprficial apperances of “consciousness” while Crudness of our Limited perceptions is unavoidable, even when we use technology to augment our sight, some miraculous abilities of our mind allow us, even empower us, to instinctively explore the untouchable, invisible to us world ? The Nature’s Mechanism of Perceptions of mind is about revealing What our perceptions are and Why we possess them. We may soon clearly see why nothing can be truly solid, “material”, have actual weight, shape, speed, colors, taste, texture and movements, why universes may have space and time only in our imaginative minds. Why our minds, whether poor and boring, or vivid and creative must create stages of realities? The main goal of writing this introduction is to reveal the most fascinating mechanism we may ever know that is inside our very minds. The novatown.net website publishes my special introduction to the main subjects of knowledge and experience with a crucially different approach. This uncommon study is not only about revealing how illusive our human experience and mentality are, but suggests uncommon new METHODS for learning. Is the speed of Light is a speed of our Human perception of Sight, the condition of our mind reacting toward objective to us changes? Why is that a virus would not be effected by gravity and other Newtonian laws, and would ignore the heavy weight, texture and color of your desk? 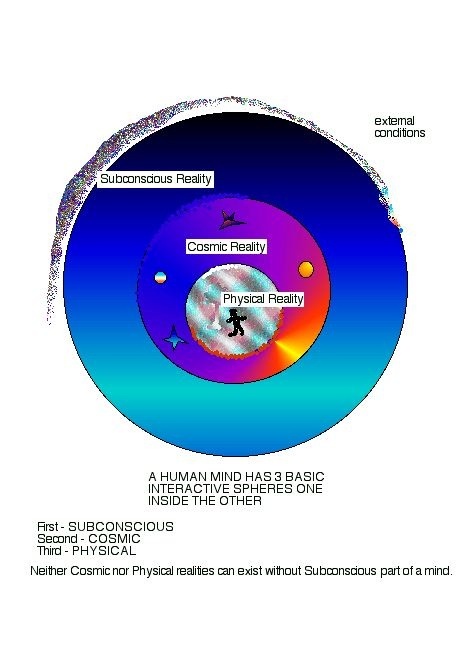 How many fantastic realities that are right “here” we may never reach and experience? Do we have to build space ships for traveling into the unknown to us worlds? Why do not we try to think beyond our old recycling methods of knowing? Why do we keep proofing discoveries in sciences based upon appearances (on photos or vedio) perceived through our corporeal sight, that is proven to be the most illusive, deceiving and tricky of all sense perceptions we may ever possess? How shall we introduce our very young students to the wonder-world of math with identical units that we can manipulate in groups, under man-made rules and laws that are against the laws of nature? In following pages we will find out that the production of light through our corporeal (bodily) perception of sight is not some universal condition, but our internal unique condition of mind. Volcanos of findings on nature and matters of the “universe” are inevitable, replacing our recycling outdated fantasies about nature of a world and ourselves. 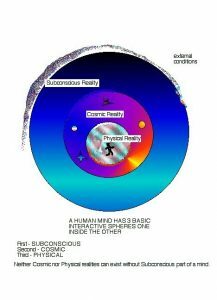 Unique Human character has been creating and staging its environments based upon what we call “consciousness”, a fantastic, but poorly superficial theater of human “consciousness”. Human society struggles to play made-up scenarios against the most vital laws of nature paying high price for confident ignorance. Contact us to learn more about the human mind and nature’s mechanism of perceptions.